I have been throwing around a lot of model names as I write and a quick history and breakdown of the different Giulietta and Giulia variations seems like it would be helpful. This off the top of my head with ideas and historical details gleaned from various sources. Pictures are mostly period advertising photos or those taken from classifieds. Before a description of the models is attempted it’s important to understand that Alfa Romeo didn’t build whole cars in the way we think of the process today. Alfa Romeo built some cars entirely in-house but mostly they sent a chassis with running gear to one of many Carrozzeria who were contracted to build cars around the chassis, which were then sold as Alfa Romeo’s. These Carrozzeria included Touring, Pininfarina, Zagato, Ghia, Colli and many other names familiar to lovers of the Italian cars of this era. In about 1952 Alfa decided to undertake the design and production of a small affordable car, the 750, so they approached various Carrozzeria to produce prototypes. 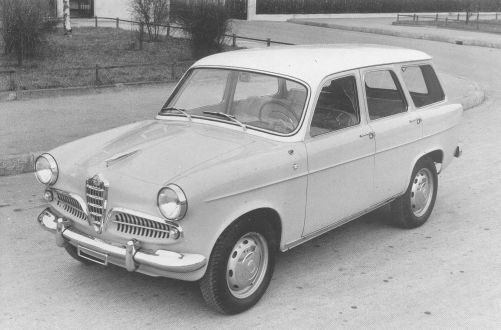 It is said that Alfa intended to launch the line with a sedan or ‘Berlina’ but somehow in the messy process that is bringing a product to market the Sprint ended up being ready first. 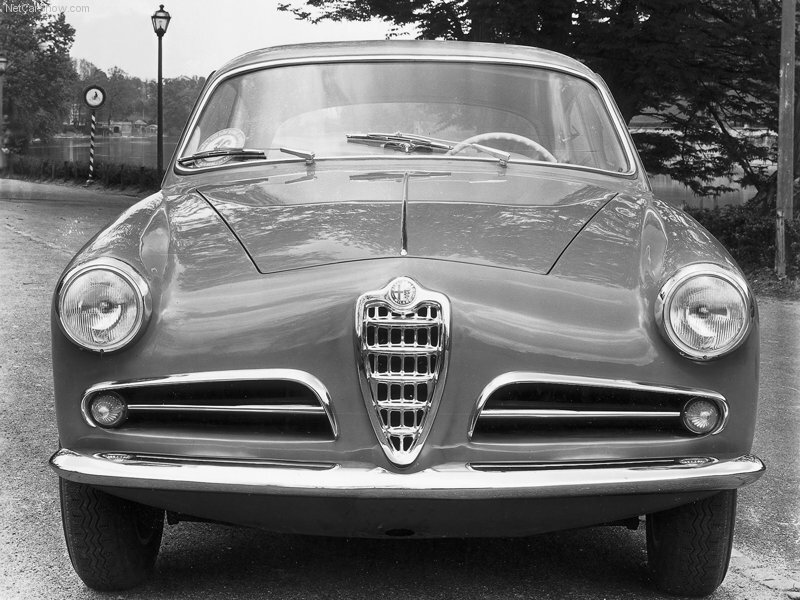 The 750 eventually came to be called the Giulietta. There are a few different accounts of the origin of this name for the cars, but all accounts seem to point to it being a play on ‘Romeo and Jiuliet’. Giulietta is the diminuative of Jiuliet and the Giulietta is a small car compared to previous Alfa models, so it makes some sense that it would be called this. Of course Giulietta grew up and they called her Giulia. Nose of an early Sprint 750. Follow the links below to the Sprints model information and register* pages. 750B 1493*00001 – 06611 ~6000 units built. Follow this link to the Berlina and TI Sedans model information and register* page. Follow the links below to the Spiders model information and register* pages. Follow the links below to the Sprint Speciale model information and register* pages. Follow this link to the Sprint Zagato model information and register* pages. *A note about the registers found in the linked pages: I have had a lot of positive feedback from the SS register and thought that a register for the rest of the family might be a nice addition. There are other registers out there but I’ve noticed over the years that pages come and go and sometimes when they go the information never becomes public again. This will be a work in progress with the layout likely changing several times before I come to a format that makes the most sense. If you have a car, or know of a car that is not listed here let me know. The first line is the Fusi stated range for the year and the following are numbers on cars that have been reported. d’Amico and Tabucchi have some differences listed and I’ll try and work them in later. Eventually as enough data points become available I’ll modify or remove the year/range headings and provide a better view of the flow of things at Alfa and particularly Bertone in through these production runs. An entry ending in Ref. is for an important car which may or may not exist. Thanks to John de Boer whose Italian Car Registry was the seed I built on, Greig Smith who provided a lot of insight, stories and SVC numbers, Laurence Anderson who kept track of the cars he came in to contact with over the years, Patrick Hung for getting the BB based Giuliettas all in one place and Andrew Watry for Giulietta Sedan numbers who along with Christopher Boles for showed what a long term, well managed register can look like. Of course the biggest thanks to all of you who own these cars for sharing. Hello, if you are looking for more photos of my Spider, AR Giulietta Prototipo #00007, please see my web pages at http://www.brutushauls.com/pinin . Thank you and regards, John. Just started restoring my AR Sprint 1962 and cannot find color ID number. I thought it was in trunk but it is not there. Anyone know where to look exactly? On the firewall near the air inlet on the passenger side. See here: http://www.flickr.com/photos/26218757@N06/4340970653/in/set-72157623256951375 There is a number starting with 6 on the scuttle -this is the body number, and there is a number starting with AR, this is the vin number. This car has a black and silver build plate with engine number and vin number -yours may not. I have noticed that some of the spiders have a wing/vent in the door and some don’t ,which spiders have the thinner windshield frame without a vent/wing? What is the year span? I assume it’s the earlier cars? I would like a confirmation from you, since I am following and reading on this site, and I see that you breathe alfa giulietta. I would like to know if the name giulia and giulietta are related, since seeing in the forums and sites the same model be called giulia and giulietta. From now on congratulations for the dedication and the knowledge obtained here. While there was no official “Giulietta becomes Giulia” announcement, it makes sense to call the new line Giulia since it is the grown-up version of Giulietta, and one can easily imagine that at the time Giulia was considered the next generation new and improved Giulietta. Hello, Matt. Just discovered your site; it’s really impressive. Well done! 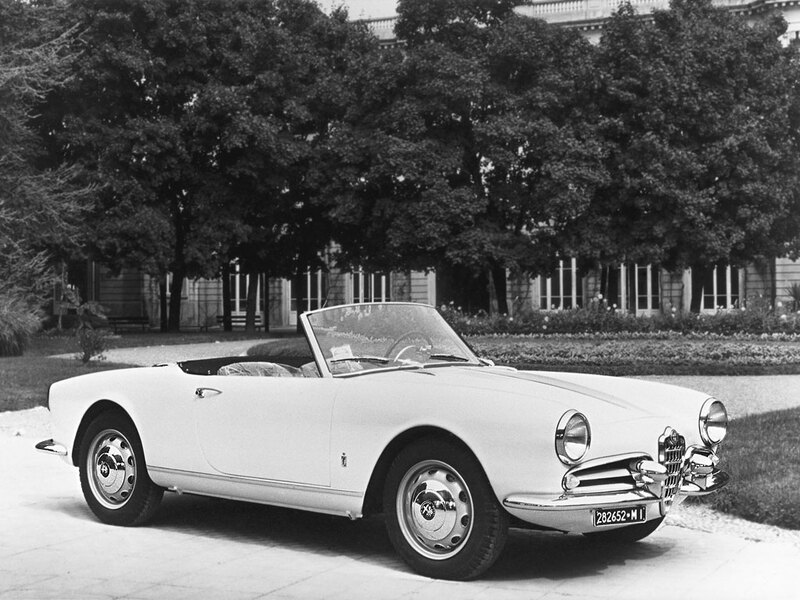 i am considering buying a 1960 Giulietta Spider. The car checks out overall but here is my problem: the engine number (1315 xxxx) and the body (1495 xxxxx) correspond to a 10103 US spec Spider. The Autotelaio plate, however shows the model to be a 10105, which would indicate a Sprint. What do you think? Hi All, I have a 1965 Guilia Sprint, assembled in East London, South Africa, I’ve tried getting some confirmation of the official Italian AR museum but with little luck, when she:s finished she’ll be a beauty . I have lovely pics of the car, including the Vin, engine and CKD assembly number. I hope someone out there has seen or read somewhere of historical figures archives that will lead to her getting a pukka birth certificate. Thanks ET Wynne.